Technology is an area where changes take place almost every day. Systems, especially those intended for online sales, both in the B2B and B2C model, are regularly enriched with new functionalities or changes in the specificity of those already existing. All this is conditioned by the constantly growing needs of the customers. At i-systems, since the beginning, the main idea behind the implementation of all projects is quality. Providing clients with the best technological solutions is the basis of our work. In November 2016, we came up with the idea to set up a team of developers responsible for implementing the Continuous Integration method. The most important task of this department has been the effective implementation of this method and enabling i-systems customers to continuously develop their sales systems. The CI method is based on joint work of a team of developers who introduce changes continuously, merging them every few minutes. Working together on the code affects its highest quality and makes it consistent, the next benefit is that the system is able to work effectively for many years. The first store based on Continuous Integration was implemented by i-systems in May 2017. Currently, in our portfolio, we have as many as 16 online stores launched in the CI method, and their number is constantly growing. The constant addition of new elements and functionalities to the system has made it necessary to change the business model used so far. This is how the concept of the model called ‚Dedicated SaaS’ emerged. It turns out that dedicated solutions and those offered in the SaaS model are not mutually exclusive, and even perfectly harmonize with each other. The combination of these e-commerce models provides customers with a completely new quality and makes it possible not only to use their advantages but also to eliminate the disadvantages. What’s important, the dedicated SaaS is a guarantee of lowering the initial investment cost of the project, and the use of this business model ensures that the client is fully protected. When the client decides to self-host and maintain the software, he or she has the option to purchase the license of the solution they already use. Continuous Integration is the future of e-commerce. The i-systems company as the first on the market, through the use of CI practice, offers a sales system developed as a dedicated SaaS. Thanks to this method, customers have stable and always up-to-date systems, allowing for many years of development and strengthening of their market position. Wpis opublikowany w Article, Post i otagowany Continuous Integration, ecommerce, IT 18 maja 2018 przez Marta Frania. On April 6th, 2018, in cooperation with the Financial Times and Statista, the ranking of 1000 fastest growing enterprises in Europe was published for the second time. The i-systems company that creates dedicated e-commerce software once again found its place in this classification. FT1000 is a prestigious ranking created in cooperation with the Financial Times – one of the world’s largest economic and financial magazines, published for 160 years, and Statista Research Institute – a leading provider of data on markets and consumers. It provides an interesting perspective on the development of enterprises, as well as the values and the risks associated with it. The company’s place in the ranking is determined by the increase in revenues that the company reported in the years 2013-2016. In order to qualify for participation in the ranking, enterprises had to generate revenues in excess of €100,000 in 2013, while in 2016, their revenues had to exceed the threshold of €1,500,000. According to data provided by Financial Times and Statista, the average value of i-systems revenues, in 2013-2016, has increased by 44.4%. The fact that the company has been listed as one of the 1000 fastest growing enterprises in Europe is not only a huge success but also a sign that the quality of its operations matches the most valued players on the market. This year, as in the previous edition, the leading position in the ranking was recorded by companies from England (there were as many as 74 companies representing this country on the list). In the FT1000 ranking, countries such as France and Italy were also represented by many companies. Poland in this classification was represented by 18 companies. You can read the full list of companies that qualified for FT1000 at ft.com. The entire ranking will also be attached as a supplement to the paper edition of the Financial Times, which will be released on April 30th. Ten wpis został opublikowany w Article, Post dnia 11 kwietnia 2018 , przez Marta Frania. Inc. Magazine has published the ranking of the 5000 fastest growing private companies in Europe for the 37th time. Median growth rate was 254%. In aggregate, the list shows three-year revenue growth of €102 Billion. Founded in 1979, Inc. Magazine is dedicated to owners and managers of growing private companies. Total monthly audience reach for the brand equals 19,000,000 recipients today. The i-systems company has made to the Inc. 5000 ranking, with a growth rate of 183%. The Inc. 5000 Europe represents the comprehensive look at what may be the most dynamic segment of the world’s economy: fast-growing private companies. The 2018 Inc. 5000 Europe is ranked according to percentage revenue growth when comparing 2013 to 2016. To qualify, companies must have been founded and generate revenue by March 31, 2013. They had to be European-based, privately held and independent. Companies located in 42 countries took part in the ranking. There were also 16 companies from Poland, such as Meblobranie.pl, ITMAGINATION and Netguru. To make the top 500, a company had to have achieved a three-year growth of 1 013%. The entire listing of the 2018 Inc. 5000 Europe appears at inc.com and key highlights are featured in Inc.’s March issue, which is available in both paper and electronic versions. Detailed results, including infographics and an interactive database that can be sorted by industry, country, and other criteria, can be found atInc.com/inc5000eu. Ten wpis został opublikowany w Article, eCommerce, News, Post, Success Story dnia 27 marca 2018 , przez Aleksandra Jędruch. When selling online, it is often the case that companies do not want to freeze their income to store products from suppliers. This situation is often the result of a slower process of goods flow. Companies also face the problem of a long time that needs to be taken to fulfil the orders, caused by waiting for the delivery of products from the supplier. The dropshipping logistic model is the solution to this problem. In this model, the order is sent to the customer directly from the supplier’s warehouse. The online store’s task, on the other hand, is to accept the order and redirect it to the supplier in order to deliver it directly to the customer. Sales profit in this model is achieved by imposing a margin on the wholesale price. The first step in creating a dropshipping logistic model is to collect information about the product offer from the supplier. Later, these products are imported into the admin panel of the online store. As the supplier’s product offer changes, it is a repetitive process. The next step is more complex because you have to map the structure from the supplier’s website into the structures in the e-commerce system. This takes several stages – mapping of producers, categories, VAT rate, profile fields and imposing margins for individual categories. In order for business partner’s products to be properly displayed in the online store, a series of mappings should be defined first. One of them is mapping external producers from the dropshipping partner system into producers defined in the e-commerce system. The most important mapping, however, is category mapping. It allows you to associate the categories defined in the dropshipping system with the categories in the store. Categories are understood as product types, e.g. shoes – high heels, jackets – down jackets. During the category mapping process, margins are set as well. Taking into account the price in which the product was bought from the dropshipping partner, a margin expressed as a percentage may be imposed. This value is used to calculate the suggested sales price of the product in the admin panel. Assigning the margin is a guarantee of making profits on the partner’s products in a given category, without the need to manually set and later monitor sales prices. A minimum margin is also set, in case the price from the producer has risen above the defined price in the store. The warning about this situation will then be displayed in the administration panel. Then, the partner’s VAT rates and profile fields are mapped to correspond to those in the online store. This is a very important operation because it allows you to display product parameters later in the store. Profile fields contain information, such as a colour or material from which the product is made. In the admin panel, in the mapping settings tab, the product import can be blocked, when the mapping data does not coincide in 100% with the supplier’s offer. When all the products from supplier’s offer are mapped into the admin panel of the e-commerce system, they can be displayed in the online store, where they can be viewed by a potential customer. The publication is very simple, it only takes one button. Then, the previously mentioned variants, profiles and product photos are set. Later, the time comes to synchronize prices and stocks in the store, which will be periodically refreshed using the shared API. After setting the margin, the products are ready to be displayed. The online store administrator can also manually manage discounts on the supplier’s products using the e-commerce system functionality. When adding the product to the basket, the system automatically checks its availability at the dropshipping partner’s warehouse. If the product is not available, a message is displayed that it cannot be added to the cart. Hence, payment for an order that a dropshipping partner cannot fulfil at a given time will not be accepted. In the cart, a visual division of products into dropshipping partners is displayed, along with a information explaining why the order is divided. The user of the online store is also informed that the selected product will be sent in a separate package if it belongs to the offer of a business partner. Despite the division, the whole order can be paid in one transaction, regardless of whether there are the products of the actual store or its external suppliers. The logistic model – dropshipping – brings a lot of benefits both to the company that owns an online store and for the customer. One among others is a possibility to expand the product offer, without the need to invest in reserves, as the payment for the products can be made after finishing the transaction by the customer. Limited assortment onsite means lower warehousing costs, which normally include for instance rent, more employees and security costs. The costs of shipping packages to customers are also lower because some of them are taken over by dropshipping partners. The customer ultimately receives the order earlier, because it is delivered to him directly from the source. Dropshipping is a solution both for the B2B and B2C sales models, that supports the company’s logistic processes. 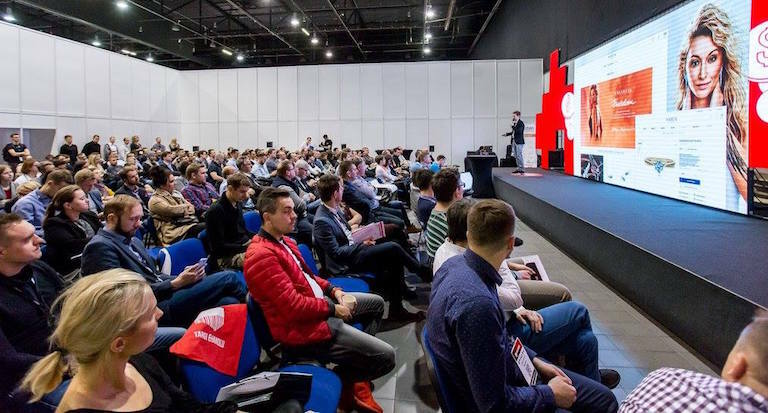 Ten wpis został opublikowany w Article, B2B, eCommerce, News, Post dnia 20 marca 2018 , przez Aleksandra Jędruch. By Dziubeka is a producer of the modern and extraordinary jewellery for women and men. In order to meet customers needs, concerning the forms of shopping, the company implemented new online store. The i-systems company has created the dedicated e-commerce system. By Dziubeka was founded in 2006. The company operates not only in B2C model but also has many business partners. The offline salons are located throughout Poland. The new sales strategy of the well-known brand focuses on developing online channel and enabling Polish and foreign customers, both retailers and wholesalers, to make efficient purchases via modern e-commerce system. For several years, the original and colourful design of the By Dziubeka brand products have delighted not only Polish customers. The jewellery is exported to other European Union countries, as well as to Russia, Serbia, Montenegro, Azerbaijan, and even America and Australia. Dedicated e-commerce system By Dziubeka will satisfy customers who value efficient shopping on a daily basis through mobile devices, who often use social media when making purchase decisions and expect an individual approach from the brand. The brand’s online store has solutions for building consumer loyalty. These types of solutions include, among other things: collecting points after making a purchase and then exchanging them for products in the online store or creating by the administrator short-term promotions. By Dziubeka plans further development of the e-commerce system with i-systems. The brand’s new online store is available at: https://bydziubeka.com. Ten wpis został opublikowany w Article, eCommerce, News, Post dnia 14 marca 2018 , przez Aleksandra Jędruch. The quick execution of orders is one of many factors determining the success of online sales. However, preparing the purchased products for the shipment in a rush may result in the incorrect completion of the order. Plus, wondering if you packed the correct product in a correct number and going back to the shelf just to be sure. In the end, the correct content of the package is one of the main determiners of customer’s satisfaction. The i-systems company has built the order completion module which makes collecting purchased items quicker and error-free. It is the last, but at the same time crucial stage in the whole online sales process, that can be automated by integration with e-commerce system. A tab with customers orders is available in the store admin panel. The listing includes the order number, customer name, price, date of placing the order, name of the warehouse employee and order status. Taking the last component into the consideration – there are three statuses – Completion has not begun, Finished – with the date of completion, and Not completed. After clicking the button Complete the order, the tab with product list is displayed. This is where the completion takes place. The list can be downloaded and printed which makes it easier to search for products in the warehouse. In practice it looks like this – the employee responsible for preparing packages has a barcode scanner, connected to the computer (i.e. by USB). After scanning the code of the product or entering EAN code to the system manually, products automatically change their backlight colour, corresponding to their number. If the number of products is correct, the backlight is green, too small – yellow, too big – blue. In case of mistake, the products can be rescanned. There is also an option to enter the number of items and scan the product only once. The order doesn’t have to be completed at once. When given products are currently not available or there is a problem to find them, the employee can simply click the button The product is not available in the warehouse. This button triggers change of order status to Not completed. On the other hand, if all products are packed, the Forward parcel button appears. Next, the status on the list of orders changes to Dispatched for shipping and information about the date of its completion is displayed. Then, it is possible to print the logistic label and the package is ready to send. However, to search for the orders easier, there are filters, which allow selecting the orders, among others by the completion status. Having an order completion module brings real benefits, both to business owners, their employees and target customers. This tool significantly optimizes the packing time by automating the order completion process. By scanning products, the employee will always be sure that the package prepared by him is compatible with the order. The risk of potential mistake is therefore reduced. All of this contributes to the reduction of money loss incurred by the company as a result of incorrect order completion. Ten wpis został opublikowany w Article, B2B, eCommerce, News, Post dnia 15 stycznia 2018 , przez Aleksandra Jędruch. During the last couple of years the shopping process, as well as shopping triggers have changed. The customers often use a mobile device for shopping or searching for products. 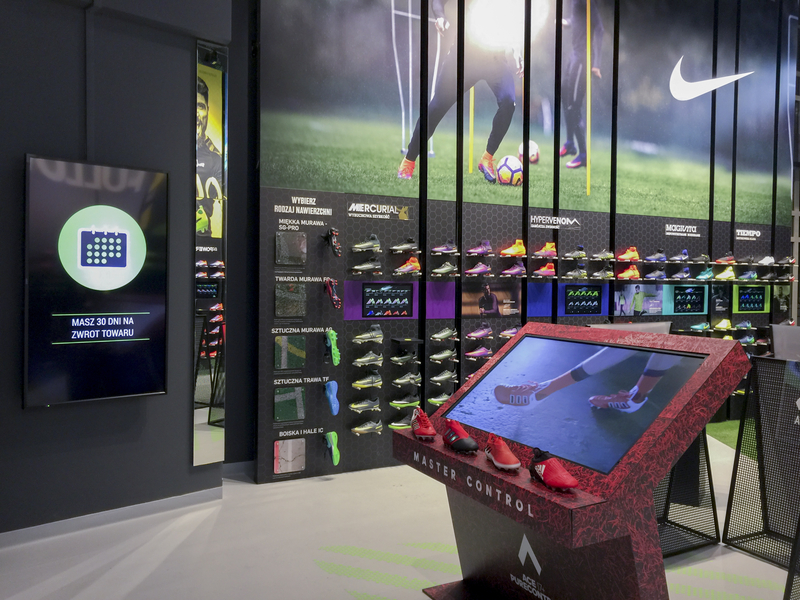 They expect to be in constant touch with the brand and consistent experience through multiple sales channels. A mobile app integrated with e-commerce system becomes an important channel. 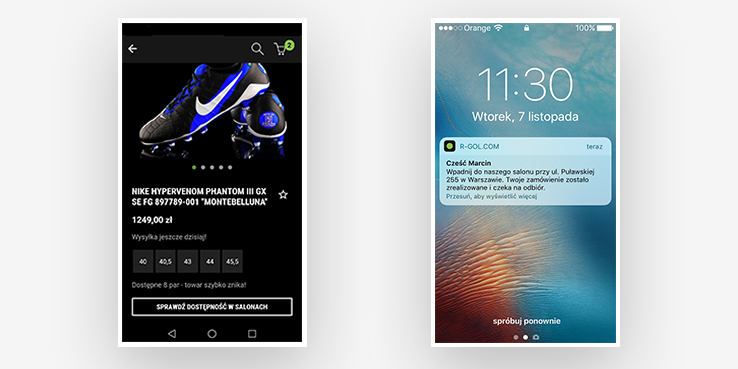 In this article, we present selected features of the mobile app taking as an example R-GOL.com – the store for football lovers in Poland. Push notifications are the messages sent via mobile app to the customers’ devices. Around 80% of target receivers open push notifications. This is because the solution is an answer to the current needs of the customers, who like to be in the uninterrupted contact with the brand. If the customer downloaded the mobile app from App Store or Google Play, it means that he or she would like to be able to check the offer of the brand at any time. They are also interested in company’s business. The administrator can decide what kind of content he or she would like to send and choose the target group. Everything via e-commerce system. This solution makes it easy to inform the customer about the change of order status or to send a defined group of users a message about the additional discount or interesting form of sale. Push notifications can be also helpful in decreasing the number of abandoned carts. The administrator, through e-commerce system, can receive the database of persons that have given up the purchase, and with push notifications send them an invitation to re-check the offer. It’s not rare that the customers prefer to find the product online before making a decision to buy one. Therefore, they can check its parameters or opinions of other users. Next, they finalize the purchase at the salon of the brand. This process is called the ROPO effect. By connecting warehousing for online and offline stores, there is a possibility for customers to check the product availability in the particular salon through the mobile app. It is a very comfortable solution because they are sure that the goods they are interested in are available in the chosen traditional store. The mobile app, equipped with a barcode scanner, is a solution which efficiently connects traditional and online sales. This feature is especially helpful in a situation when there are no desired sizes available or when a customer wants to know the additional parameters of the product. After scanning the barcode, the mobile app will display a product tab in the online store. The customer can read the detailed description of the product or make a purchase in online store of the brand. Mobile app for e-commerce system, along with the barcode scanner, is an effective solution for sales support. Click&collect service enables shopping through the online store and collecting the order in the chosen localization. Typically, the places where customers can pick up products are the brand’s traditional stores. Implementation of the click&collect functionality requires a particular software and coherent warehouse management for online and offline. For the customers, it is a comfortable form of shipping. He or she can collect the product at a convenient time. The click&collect service can be an efficient way to increase sales, as the customer, while picking up the order, very often makes an additional purchase. When making a decision to implement the mobile app one should remember about the integration with e-commerce system. Hence, all data about product availability, prices, methods of payments and delivery will be the same as in online store. Moreover, if anything changes in the e-commerce system, it will be automatically updated in the mobile app with no necessity to send those changes to App Store and Google Play. Mobile App integrated with the online store, with the features that enable development of the omnichannel model, is the answer to the demands of the customers and a way to efficiently build a bond with the customer. Ten wpis został opublikowany w Article, eCommerce, News, Omnichannel, Post dnia 15 stycznia 2018 , przez Aleksandra Jędruch. The mobile application for an online store is a way to build constant interaction with the customer. Hence, the brand has its own place in the user’s phone. Dedicated mobile application for R-GOL.com was created by i-systems. R-GOL.com has the largest professional football shop in Poland. Four brick-and-mortar stores are located in Ostróda, Gdańsk, Olsztyn and Warsaw. The last of these points of sale is the largest in Europe and the second largest in the entire old continent store with products for football lovers. R-GOL.com also sales online through an online store addressed to retail customers, a store for wholesale customers and a professional store addressed to players appearing in the top league, first and second league. Support for online sales takes place in one place, as part of a multi-store. The next stage of business development was a mobile application for the R-GOL.com online store. The mobile application implemented for R-GOL.com has been fully adapted to the overall visual identity of the brand. It has been created for two operating systems – iOS and Android. 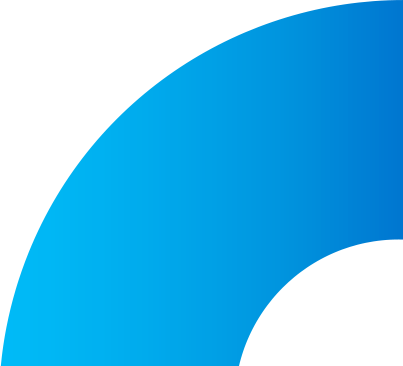 The R-GOL.com mobile application allows you to log in in several ways: traditionally, by entering a login and password, through an individual Facebook profile or Google account, and by Touch ID. After logging in to the application, a home page that has been tailored to the needs of the brand is displayed. On the home page, there are category banners and particular sub-categories. The e-commerce system administrator can configure the design of the mobile app home page himself, being able to enter any number of sub-categories. From the level of the home page, the user of the mobile application may go to the menu which includes among others a list of favourite products or the history of completed orders. The new sales channel implemented for R-GOL.com is fully integrated with the e-commerce system. Therefore, information on the product availability, prices, payment and delivery methods are exactly the same as in the case of the online store of the brand. The integration has also enabled the identification of application users and those who don’t have this solution on their mobile device yet. 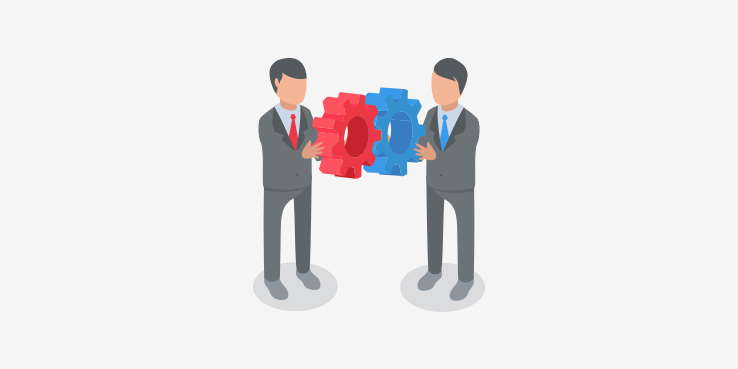 With customer segmentation, it is possible to personalize the offer for a given group of company’s customers. R-GOL.com has a wide range of products. The offer includes over 4000 products of the world’s most famous footwear and sportswear brands. The company is also a producer of sports equipment, signed with the RG brand. The R-GOL.com online store has filters that help you find the product much quicker. Exactly the same filters are also applied in the new mobile application. Users can select products by size, brand, colour, purpose etc. The application has also been equipped with an advanced search engine that allows finding a specific product, even after entering the name without Polish characters or with a typo. The mobile application allows the administrator to send push notifications. The solution, on the one hand, allows sending personalized content, for instance, change of order status to a specific group, on the other hand – it is an effective way to provide information about the sale or an additional discount. The R-GOL.com mobile application has also been equipped with a barcode scanner. This is a useful solution in a situation where the customer is checking the product offline but prefers to buy it online. After scanning the barcode, the mobile application displays the product card to the user in the online store of the brand. Customers who, on the other hand, prefer to find a product online, but finalize the transaction offline, can check if the product is available in R-GOL.com brick-and-mortar store using the mobile app. They can also use the map that will help them easily find the offline store. R-GOL.com sales both through offline and online stores. Together with i-systems, it introduced another sales channel – a dedicated mobile application integrated with the e-commerce system. As part of the development of the omnichannel strategy, R-GOL.com plans further work, for instance, introducing beacons. Ten wpis został opublikowany w eCommerce, News, Omnichannel, Post dnia 19 grudnia 2017 , przez Aleksandra Jędruch.